Actor Nick Cannon keeps things casual in his Jordan sweats while out and about with a friend in West Hollywood, California on March 12, 2012. Nick Cannon's casual daytime look was topped off with this gray hoodie. 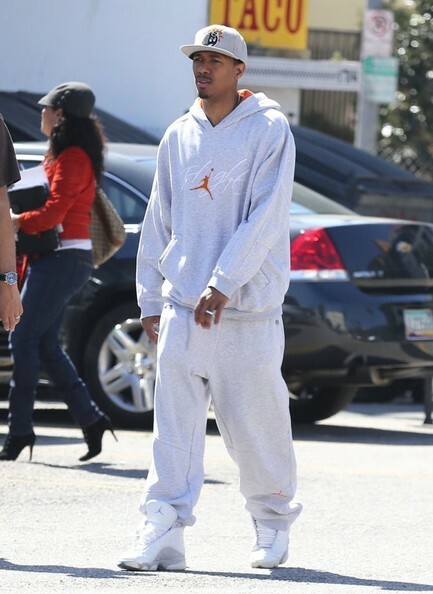 Nick Cannon was ultra relaxed while out in Hollywood when he wore these gray sweatpants and matching sweatshirt.